Thoroughly wash sweet potatoes. Pat dry; Mix olive oil and jerk rub together in a bowl. 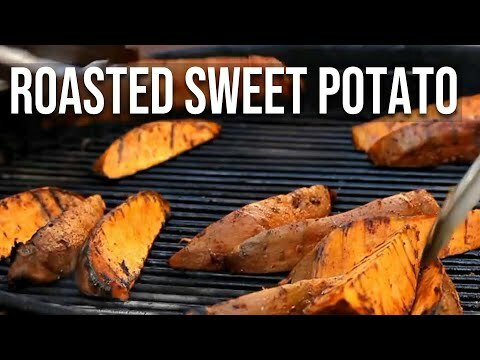 Toss with potatoes and coat thoroughly; preheat your grill to a medium heat. Arrange potatoes over a medium heat area. Do not cook on high. Cover and allow potatoes to cook, turning occasionally. You want the skins to turn slightly dark brown with small “charred” spots. Cook just until soft. Return potatoes to the bowl you mixed them originally and toss to re-coat with remaining mixture. Slice, dice or leave whole and enjoy!